Our human heart objects to forgiving others and relies on several tricks to excuse its unforgiveness. One trick is to give partial forgiveness and then stop forgiving, as if you now have a right to be hard hearted, because you have already shown grace. We saw that resentments come from our unresolved issues of the past, where withholding forgiveness makes issues out of those things we hold onto. Now let’s look at another source of resentments. Another source of resentments is our selfish desire to have things our way. We all want to be loved, valued and appreciated, and we all want to have an easy life if we can get it. Once we have determined the way we want things to be we can easily fall into resentment of those who upset our plans, block fulfilment of our will and so on. If we don’t get the attention we want from family, spouse or friends we can become resentful. If our spouse and family continually frustrate our hopes and dreams we can become resentful. If our personal capacities let us down we can resent ourself and even resent God for making us with such limitations. If you want peace and quiet you will resent those who take it from you. If you want lots of intimacy, you will resent the spouse that is not interested. If you want to live in a big house you will resent those that obstruct that objective. If you want to be the centre of attention you will resent those you must compete with and those who don’t value you as much as you want. How do you like things to be? Do your spouse and family frustrate your hopes and dreams? Have you forgiven them yet or are you carrying resentment toward them? Justice issues are another interesting area of resentment. Are you intolerant of injustice? Such intolerance appears to be very noble, but you may actually be a slave to bitterness. I have seen people get on their high horse, as the expression has it, and go charging into a situation in defence of justice. They are incensed by something they will not let pass: someone wrongly judged; someone not sharing properly; selfishness displayed; or whatever. The justice champion cannot but dive into the situation and berate the offender. A common expression of this motivation is the “It’s not fair!” claim so readily heard from the mouth of children. What they are really saying is, “I’m offended by that”. A wise parent teaches a child that life is not fair and that each of us must respond to our situations with godly character, grace and faith. In the absence of such wisdom children learn to fight about the matter of fairness and become demanding, intolerant, hyper-sensitive and so on. Don’t be fooled by your noble and righteous indignation at those who are selfish, arrogant, loud, exploitative, thoughtless or whatever. I dare suggest that your reactions are evidence of issues you have not resolved, rather than a divine calling to right the wrongs on earth. As I visited friends a few weeks ago I saw their neighbour trying to clean out her garage. The mother of the family directed the exercise and her tone and demands clearly indicated that she was driving the project and had little trust in getting the help she needed voluntarily. She shouted like a sergeant-major and found fault with the efforts of her husband and teenage son. Within half an hour the husband drove off at high speed, revving his motor in what seemed to be a show of machismo, as if to say he is a real man and not really dominated by his wife. The husband did not return until the whole ordeal was well over. Several hours later the woman was still scolding the children helping her. She was on a crusade and it sounded like a dreaded ordeal for all involved. She probably had very good reasons to act as she did. Her husband probably lets her down repeatedly. Her children probably resent being recruited into her projects and subjected to her ugly attitude and tone. It is probably a toxic experience for everyone. And that’s consistent with the warning in Hebrews. If you allow a root of bitterness to grow inside you then many people will be defiled (Hebrews 12:15 ). In fact, the whole process gets poisoned. And in such a case it is probably impossible to imagine handling the situation differently, without any resentment, but with plenty of grace. If all resentment was removed and thorough forgiveness given then there would be no hurt, disappointment, frustration, shame or similar negatives in the way of getting the job done. In such a case a happy discussion and negotiation could be explored to see how best to achieve the objective. Where disagreement exists then godly wisdom can be applied to come to a gracious agreement that does not grow a crop of bitterness. Accusations and vilifications would not occur. Despairing thoughts and emotional outbursts would not be part of the process. Any ruffled feathers would be soon smoothed over by finding God’s grace and keeping that grace as the key quality of the whole exchange. Manipulation would not be resorted to, nor taking command of the lives of others so as to squeeze from them the required obedience. I fully sympathise with the question, but please stop a moment and consider its implications. The only mechanism you have developed in order to get things done to your satisfaction is an evil and toxic mechanism. You are highly unqualified to lead any project at all if your skill set is limited to anger and abuse. Rather than being a person of grace who can bless, train and lead others, you are so limited that your only powertool is toxic treatment of others. You are actively sowing poison into others in order to get your will followed. And who is to say your ideas of the “right thing” are correct? If you have to contend with people to get them to fit in with your idea of what is right, then maybe you are the one who is out of order. Why is YOUR way or YOUR priority, which others don’t seem to be supporting, the way that must be enforced? What if you are trying to control and drive people to fulfil your agenda when God does not care as much for your agenda as you do? Remember Martha telling Jesus to force Mary to do what Martha wanted, and Jesus saying that Martha had it wrong (see Luke 10:38-42). If you are a control freak, totally sold out to the offences that drive you, and determined to have your way, your justification, your vengeance or whatever else YOU think is vital, then you will have already gagged at what I am saying. You will have your knives drawn to cut me down to size and let me know how justified you are in being angry, resentful, indignant, controlling and demanding, since you are standing on holy ground and everyone else is mired in irresponsibility, foolishness and self will. But remember the words of Christ. If you do not forgive you will not be forgiven (Matthew 6:14). If you demand that others pay their debt to you then God will deliver you into the hands of ‘tormentors’ (Matthew 18:34,35). And the torment you display suggests you are already under God’s sentence of punishment. Check out my article titled Resolving Resentment to see the Biblical basis for these claims. You have abandoned God’s grace and the mental and emotional distress that now drives you to torment others is a stinking mess that YOU have made. Others have not made it for you. You desperately need to apply forgiveness to all those who incense you and who you feel so offended by. If you do not then you are doomed to deeper misery than you currently have and you will burn off more and more of your family and friends. You are TOXIC, despite your prideful belief that you are on God’s side. People are selfish and irresponsible. Your spouse, family, friends and associates fit that description. You will be let down and hurt by those people. That’s an everyday part of life. You will either resent life or you will bring God’s grace into it. As you learn to forgive and extend grace to people who do not deserve it, just as you want God to extend His grace to you when you don’t deserve it, life will become a blessing and a joy, instead of a wrangle. In order to resolve differences and difficulties you have with your spouse, family or friends, you are best to start with a clean heart and free spirit. Resentment, anger, frustration, jealousy, wilfulness, prejudice, and the like are barriers to the better solutions you need. Remove those barriers immediately by giving open hearted forgiveness to all those who offend you. Then work with God and your spouse, family and friends to find a godly and blessed solution. You may have to change your priorities, because they are unrealistic. You may have to accept others for who they really are, not who you want them to be. You may need to inspire others to see the merit of things you hold dear. You may need to see the wisdom of their different way of doing things, and give up your limited concepts about how things and what things are to be done. There are only two options in dealing with the upsets of life. You either find and give God’s grace to those who offend and fail you, or you become bitter toward them, a root of bitterness springs up in your life and you and many others become defiled. If your relationships involve contention, argument, disappointment, resentment, wrangling, hardness of heart, or similar negative elements, then you have already made bad choices in the past and are living with the toxic results. I don’t have to live your life or live with you. If you want to go ahead and mangle your life then do so as much as you want. But please don’t live in deception any longer. You are not a noble agent of God, but a miserable, selfish and bitter person who has personally chosen to come under the power of evil and to damage all those around you. If you choose to live in unforgiveness then you have everything you deserve. If you are willing to humble yourself, let me encourage you with this wonderful news. By you simply following God’s instructions, forgiving all who offend you, God’s grace and His heavenly blessings will be released into your life, no matter how desperately bad things are right now. 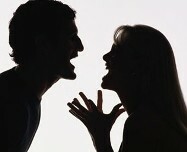 Resentment is probably the most prevalent disease in relationships and marriages today. In my previous Resolving Resentment article (http://chrisfieldblog.com/2012/01/02/resolving-resentment) I showed how Forgiveness is the key to unlocking and removing the resentments that poison relationships. I now revisit Resentment to help bring home its presence and to help people grapple with its impact in their heart and home. This article is in 2 parts so after you have read this, look for Resentment Revisited 2 to complete the thoughts I want to share with you. Our human heart is totally selfish and proud. It resists forgiveness and chooses resentment. Resentment is really just a soft label for bitterness. Bitterness is totally toxic and means we have refused to show God’s grace to those we are offended by or angry with. Our determination to be bitter means we quickly develop a variety of Objections to Forgiveness. And what is more we can even pride ourselves that we gave partial forgiveness and have put up with the other person better than others might. At heart we can be real ‘stinkers’! A common approach to forgiveness is to give Partial Forgiveness and to applaud ourselves for doing so. At heart we are Objecting to forgiveness, and using Partial Forgiveness as a way out of forgiveness. We see an example of this in Peter the Apostle. Peter accepted Jesus’ teaching about the need to forgive, but in his heart Peter really wanted to take a hard stand against those who offended him. Look at the historical record of the event, recorded for us by Matthew the Tax Collector. Peter thought that forgiving his brother SEVEN times was pretty good. Imagine being offended by the same person the same way Seven Times! That would be SO offensive. Forgiving someone Seven times sounds pretty impressive under those circumstances. Surely there has to be a limit to forgiveness. If a husband continues to forget anniversaries, continues to drink too much, continues to embarrass his wife in public, continues to waste money, continues to ignore his wife’s advice, or continues any other offensive behaviour, then SURELY there must be a limit to any forgiveness. And what about a wife who continues to ignore her husband’s wishes, continues to rubbish him to her friends, continues to nag him about his failings, continues to manipulate him, continues to frustrate his interest in intimacy, or continues any other offensive behaviour? Surely there must be a limit to forgiveness in such cases. Jesus responded to Peter’s question about limited forgiveness by saying there is no real limit to forgiveness. We are to forgive and keep on forgiving. What ever we think is our absolute limit needs to be multiplied ten times and then multiplied by the original number all over again. If we offer ‘partial forgiveness’ then we have not truly forgiven. And there is nothing to boast about that we have put up with this or that for so long or so many times. There is no room for pride in our partial forgiveness. 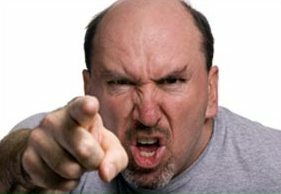 People normally put up with something that bothers them for a while, then decide they have a right to explode, react, get angry, resent the action and be bitter toward the offender. People even see their short lived patience as a badge of honour and they usually broadcast the fact that they have been tolerant, as if that excuses their anger, resentment and final UNFORGIVENESS. Despite all those high sounding self affirmations about how wonderful we have been putting up with the other person’s faults, what really happens is that we give in to Unforgiveness. We choose to be Unforgiving and to then be angry, resentful, judgmental, condemning, etc. Whether we actually ‘forgive’ or just try to tolerate the other person’s behaviour for a while we usually have pretty short limits. Peter thought that forgiving SEVEN times was pretty impressive. It could even be that Peter was proud of his incredible willingness to forgive an offender Seven times. He had no hesitation in offering the idea to Jesus, as if it was a pretty good offer. Our human hearts are evil and so we don’t want to act like God or Christ and to forgive. That is why Christ warned us that if we do not forgive we will not be forgiven, Matthew 6:15. We are so prone to reacting badly to other people’s failures, while wanting to be excused from our own. Whether you give in to resentment the instant you are offended, or whether you forgive someone seven times before you give in to resentment, Resentment is still Resentment. Anger is still anger. Bitterness is still bitterness. Unforgiveness is till unforgiveness, even if you gave partial forgiveness for a while before you reverted to unforgiveness. Your temporary tolerance, incredible patience and limited forgiveness don’t count for anything. You have allowed a root of bitterness to spring up and to defile you and those around you (Hebrews 12:15). Your heart reaction is wrong, and you failed to give God’s grace to someone who needs it. What is more, you set yourself up as judge. Despite God’s warnings that we are not to judge others (Matthew 7:1) a person who becomes angry and resentful has stood in judgement of someone. In fact, they have set themselves up as “Judge, Jury and Executioner”! They judge the person to be out of order, find them to be “guilty” and then prescribe the punishment. The punishment is that the offender is subjected to the anger and resentment of the one standing in judgement. Our choice to resent someone means we think we can stand in God’s place and lord ourselves over the other person. And that’s pride. Where do resentments come from? Obviously they come from our decision to be angry and unforgiving toward those who offend us. By that process, however, we each grow our own garden of resentments, based on our past decisions about the things we will resent. Some people have a flourishing garden of resentments and live their lives in a perpetual state of reaction to people who offend them. Since this is so very debilitating, as well as against God’s instruction to show grace to people and even to love our enemies (Matthew 5:43,44), we should have a closer look at how this process takes place in our lives. When we are offended by a person or a situation and allow resentment to spring up we easily become resentful of all people or situations that remind us of that original offence. You will be familiar with the idea that, “I just can’t stand people like that!” Whatever the “like that” is in your case, and whatever it is that you can’t stand, it represents a pet resentment you are growing in your life. The problem for you is that you have been offended in the past and not given forgiveness to the one who offended or wronged you. People have issues about being belittled, ignored, misunderstood, misrepresented, falsely accused, taken for granted, used and rejected. Some people engage the rest of their lives trying to even some score, prove some point, vindicate themselves, right some wrong or otherwise react to some offence they have never forgiven. Every time we fail to show God’s grace to someone who wrongs us we become trapped in bitterness. We are warned that the only alternative to giving grace is to have a “root of bitterness” spring up in our life (Hebrews 12:15). We don’t like the word ‘bitterness’ so we use such terms as resentment, anger, frustration and intolerance, because those things sound reasonable, and can even be justified as a righteous response to someone else’s evil. The examples can be quite obvious, like having a bossy older sister causing people to be intolerant of strong minded women. At the same time we each have unique and personal opportunities to learn intolerance toward certain types of people or behaviour. Our intolerance is really a sign of a root of bitterness inside us. People despise the favoured child in their family, feeling wronged by not getting the same attention. People despise the over confident person who always outperforms them. People resent others who get privileges they did not get. And on it goes. Much of the energy behind feminism is fuelled by feelings of resentment toward males. Discovering your intolerances and uncovering your bitterness is not a game where you get to bring up how others have hurt you. It is a vital challenge to your heart, calling you to whole-heartedly forgive those who have offended you in the past. Don’t revisit your pain, but RESOLVE IT! All the unfinished business in your heart needs to be removed by you forgiving every offender who ever wronged you. Give up your unforgiveness, bitterness, resentment and anger. Despite what those people have done, your only hope of a better future is for you to forgive them. If you do not forgive them you end up in the hands of spiritual tormentors, as Jesus warns in Matthew 18:34,35. So the mess you are now in is not because of the way they treated you but because of your refusal to forgive them. Stop blaming others for their faults when YOU are the worst enemy to your happiness and blessing. Grow up and resolve your issues right now, by choosing to forgive people who don’t deserve to be forgiven, just as you want God to forgive you even though you don’t deserve it. If you find these thoughts helpful then look out for the second part of this article on Resentment Revisited. I have additional practical insights to share with you, so you can be free and so you can help others. Look out for Resentment Revisited 2. How do you help a legalistic dad? You know the kind. He demands his family do as he wants, the way he wants, on the basis that he has GOD on his side. I have had to deal with several dads over the years that have dug themselves into a hole but refuse to change because they are the DAD and the Bible tells the kids to obey them. The children become hurt and rebellious and that only affirms to the dad that he is on the high ground and they are wrong. I was asked recently by a Christian counsellor for some suggestions to help a legalistic dad face the mess he has created and the pain he and his family are living in. The dad appeals to the Biblical command that children obey their mother and father as his trump card to justify his stern stand. As I considered the question, my thoughts about sad situations I have seen over the years led me to a new suggestion to help a legalistic dad. The problem is getting the dad to listen and to be prepared to review his own actions, when he has a strong sense of being “right” and others being wrong. Jesus told us we can know the truth about people by the “fruit” of their life. A father’s life is not measured by the legal ground he claims as his authority, but by the fruit of his actions. “By their fruits you will know them” is a basic litmus test we can apply quite widely. I suggest we can apply this to test those legalistic dads who think they are right and others are wrong. A child starts out as a blank page. And children are very resilient and forgiving. They have the ability to cope with disappointments and the distractions of their parents. And children learn much of their concept of life by watching their parents at close quarters. So, at least in general terms, the way the kids turn out can be regarded as the “fruit” of the family. If a family produces selfish, proud, loud, disobedient kids, you know that the home has some serious problems. If a home produces quiet, obedient, loving, thoughtful children, the quality of the home is attested to by those kids. So let’s use that fruit factor as a searchlight on the legalistic dad. When a legalistic dad digs in his toes and will not budge from his conflict with a child, and the child digs in his or her toes and will not budge either, we can see that the child is the “fruit” of the father. The stubborn father has produced that stubborn child. So, if the dad thinks he has the ‘moral high ground’, standing in the place of being right while the kids are wrong, he had better re-think things. The “fruit” of what he has produced is a public testimony to his failure. Instead of standing on moral high ground, he is standing in the place he accuses his kids of standing on. If the dad is looking for a spirit of humility in his children, then we need to see that same fruit in him. If he doggedly defends his opinions and the rightness of who and what he is he can only expect his children to be as stubborn in their stand for their own rightness too. First let’s see the dad humble himself before God and admit that he needs God’s wisdom. Let’s hear the dad admit that he has failed in his role as dad. When we see that kind of humility we know there is hope for the family. If dad defies the evidence then he has invalidated his stand before God. God gives grace to the humble, not to the defiant and arrogantly proud. Another important truth for a legalistic dad is that the issue is not rebellious kids, but the condition of the dad’s heart. Yes, rebellion in the family is wrong and the rebellious children need to have that resolved. But the dad is the head of the home and it is vital to get him sorted out as a key to healing the whole family. And getting dad sorted out means dealing with dad’s heart. The Bible points out that the real “issues” of our life are not the things that come against us but the things that come “out of us”. When we seek to heal a home, the real “issues” are not the rebellion of a son or daughter, but those things that come out of the heart of the dad and mum. In the case of a legalistic dad in conflict with his children, it is what is coming out of the heart of that dad. Listen to what Jesus said about the significance of what comes out of us. The issue that is defiling the father and likely bringing real problems into the home is whatever is coming OUT of the father’s heart. And we know what is coming out of the heart by what people say. A legalistic dad will speak judgment of his children, rejection, condemnation, fault finding, pride in his own standards, negativity, contention, and so on. And those words of his mouth reveal that he is not standing on moral high ground, but is polluted. A heart that produces evil speaking reveals an “evil heart”. The legalistic dad has deep troubles in his heart that lead him to produce toxic speech and bad fruit. The more a legalistic dad is challenged about his stand the more virulent he may become in attacking others, asserting that he is right, feeling rejected and intimidated and so on. All of this reveals that the dad is not walking and living in God’s grace. The dual matters of the “fruit” of the dad’s fathering in the home and the “issues” in the dad’s heart expressed in his legalistic stance and speech, show that the dad needs help. The home is what it is because the dad has internal issues that need to be resolved. He will never be able to lead his family into joy and wholeness while he is beset with personal problems that have produced bad fruit in the home and which reveal bad issues pouring out of his heart. If a dad has produced bad fruit in his home and his heart pumps out evil things he has issues. And legalism may just be a way to cope with life and excuse his situation. Legalism may be a cover. By being legalistic he can point at others, rather than get free on the inside himself. Just about anything could cause a person to become legalistic, but since legalism prompts a person to reject others it is reasonable to assume that rejection has a part to play in the legalistic dad’s heart. Certainly there is a lack of the grace of God. And the writer of Hebrews warns that failing to receive and give out God’s grace leads us to having a root of bitterness which causes us to defile others. Legalism and the attendant accusation and rejection certainly defile and offend people so an important need in the life of a legalistic dad is to experience the grace of God and to give God’s grace to others. If you suffer under a legalistic dad you will find it easy to become hurt, offended, resentful, judgmental, angry and so on. And by so doing you will be tempted to let a root of bitterness spring up in your life. If that happens then the problem has been passed down to a new generation, instead of being dealt with and rooted out of the family. So if you have a legalistic dad press in to God for sufficient grace so you can give grace to your dad, even though he does not deserve it. If you can give grace to those who have no grace, you will not come under the power of their failures and weakness but have triumphed into liberty for yourself and your children. If your dad is legalistic and refuses to see that there is anything wrong in his life, you are in a very vulnerable place. Determine with God’s help to give abundant grace to that graceless dad.